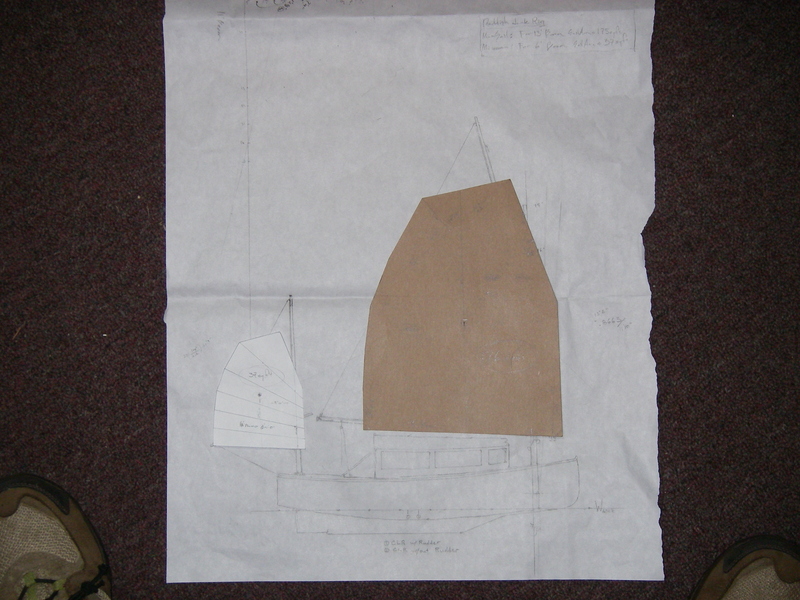 Mizzen sail – thank you Stuart, sole prop at Dabbler Sails! Tearing apart the forward crossbar of the main tabernacle, to adjust for 2° forward rake of mainmast. Eeek! But it’s coming along. love it! hope to catch ya’ in maine this year! peace. Hi you two – sounds good to me! I use a junk on the front sail and left the old bolger sail for the mizzen. It wil be interesting to see how you manage to reduce twist on the mizzen as this will I think make tacking harder. Thanks so much for the fantastic pictures that you sent, of your Micro with the junk rig. What a great group of junk rigged boats! Could I possibly post one of those photos, for other folks to see? On the mizzen question, I would have loved to have kept the sprit boom mizzen – it’s been working out really well. Unfortunately, to make the big mainsail balance, with the masts in their current location, the mizzen needed more sail area. 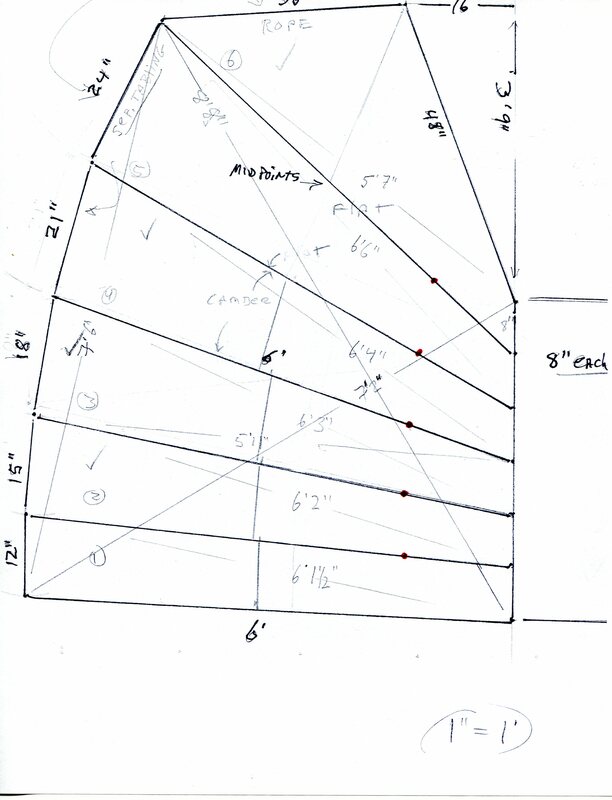 So instead of the original 27 square feet, the junk mizzen is 37, which keeps the combined center of effort in roughly the same place as the original design. I did notice the twist on your sail in the photos. And completely understand your feelings about all the strings involved in the junk rig… The cure for one is (unfortunately) more of the other, in either direction. Sure am looking forward to getting to hoist one in the driveway, to try it all out! 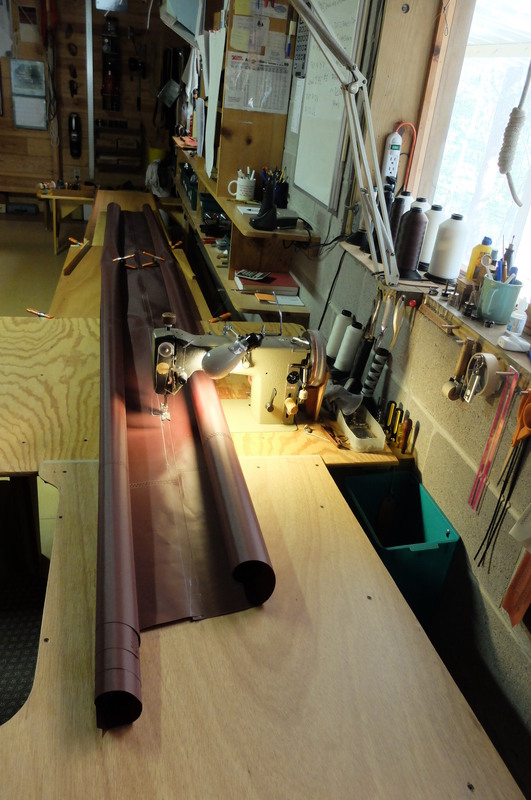 Battens are in progress, toward that end. Feel free to share the pictures. 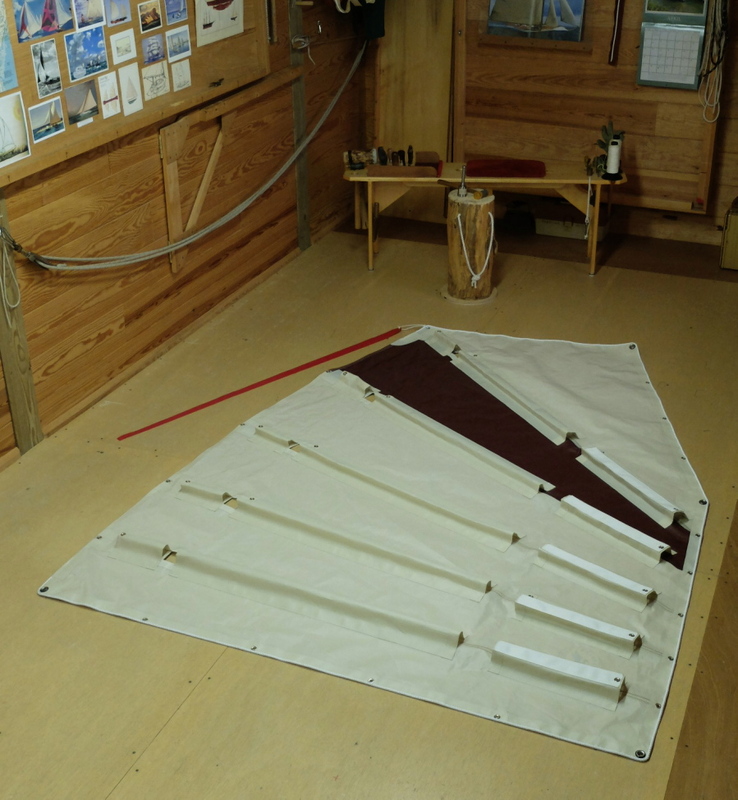 I like the idea of double sheeting for the mizzen as in theory you should be able to overcome twist by pulling the sail over to the windward side. I also think that being able to drop the mizzen without hanging over the stern will be a real bonus. 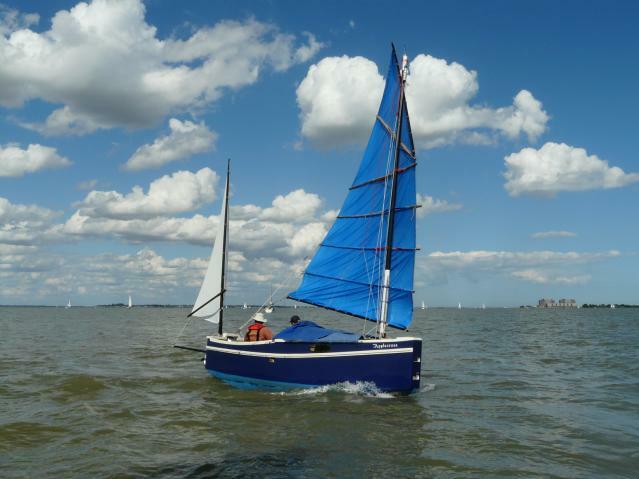 Don’t throw the original mizzen away as it might make a good sail for riding at anchor. I finally made some progress to getting back on the water. so may be I will be out again this year. Thanks – will post that soon. 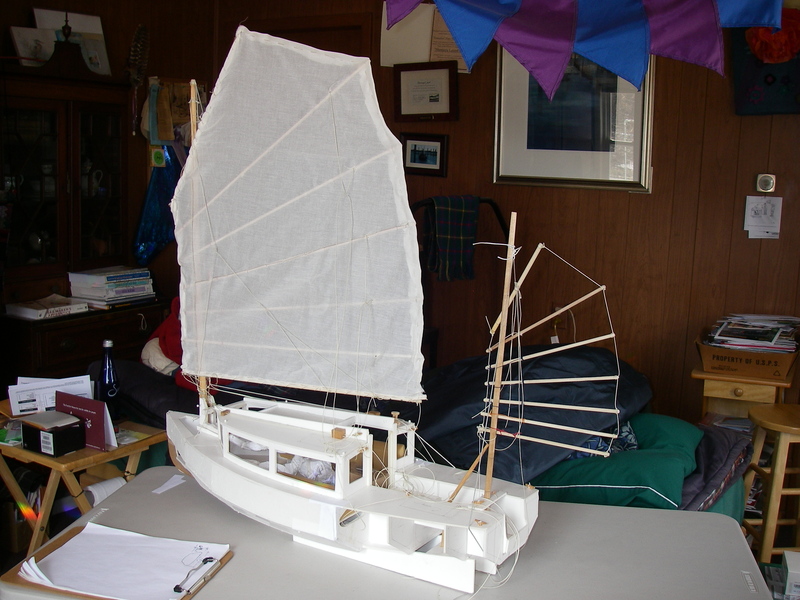 I think it’s the euphroes that’ll really help with the twist – they allow you to adjust how much tension is on each sheetlet, compared to the others, and then the overall angle of the sail to the boat is controlled by a line from the bottom of the euphroe. This also makes less spaghetti as far as running parts going from the cockpit to each sheetlet, but the downside appears to be that whenever you reef or unreef, then the single line that runs up and back to each sheetlet (through the euphroe holes) needs to be adjusted at the euphroe. Trade-offs always, but it’s looking appealing. You’re having trouble with getting the sprit boom sail furled, without hanging off the back of the boat? I’ve had success with releasing the snotter, pointing the forward end of the sprit boom toward the sky, and rolling the sail vertically around the sprit boom until it’s near the mast, then tucking the extra sail against the mast and tying the whole business with one or two sail ties. No hanging off the stern, but I’ll admit it’s a little tricky in a big wind. Generally I leave it up, reefed or full, unless going in to a dock. Like you said, it makes a great riding sail! So glad that it’s looking like you’ll get on the water – that’s wonderful news! Hi. It’s exciting to see a Chebacco with a junk rig!! I’m considering purchasing the plans for the Chebacco motosailer Design #605. 1. I was wondering if your Chebacco is the same Bolger design (#605). 2. 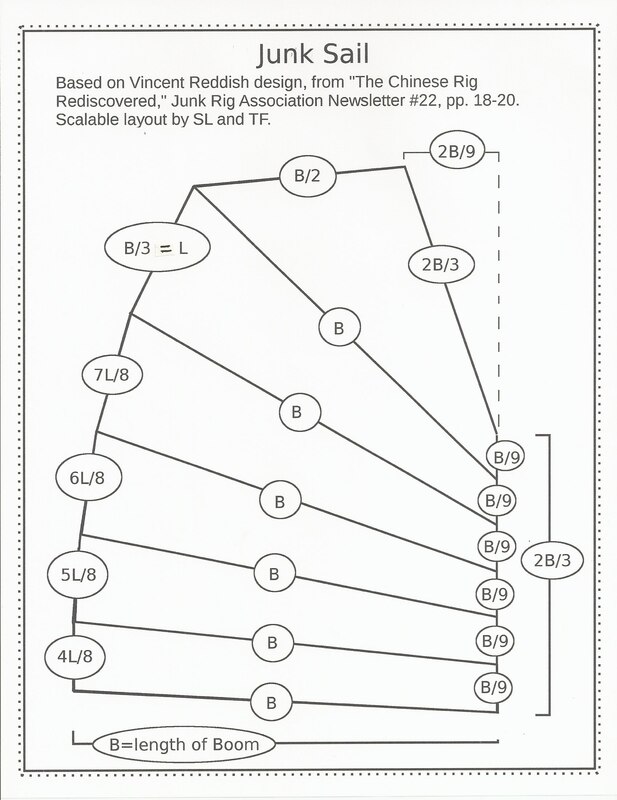 Did you have to change the the design plan’s angle of the mast for the junk rig? It is indeed. And yes, we changed the rake on the mainmast. The goal was to have 2° forward rake, but in practice it came out a bit more. Doing this involved adjusting the tabernacle, but it would be quite easy during construction. I am quite delighted with this rig for this boat. As folks often do when converting to junk rig, we increased the sail area, which I have also been quite happy about. It’s very helpful in extremely light wind, and perfectly easy to reef otherwise. 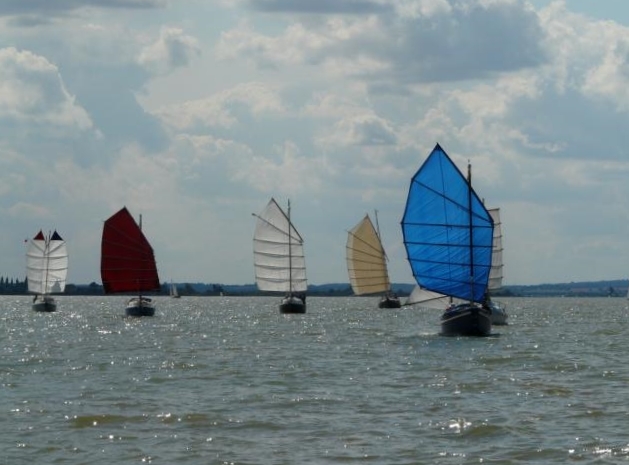 In very light wind and a following, swirly current (for example in a river) it helps to reef – otherwise there are some steering issues, but only in just the perfect set of circumstances. Otherwise it’s been just fine. Where are you? How exciting that there might be another one of these boats – and perhaps junk rigged, no less! You’re blog is really great to read and helpful in understanding what it would take to put a junk rig on the Chebacco (and maybe even on the Catfish). That’ll keep you busy! Sounds fun. It’s amazing how many boats you can put a junk rig on. Have you had a look at the JRA website? (www.junkrigassociation.org) There is quite a range of photos of boats there, from tiny to good-sized cruisers, that have been successfully converted. 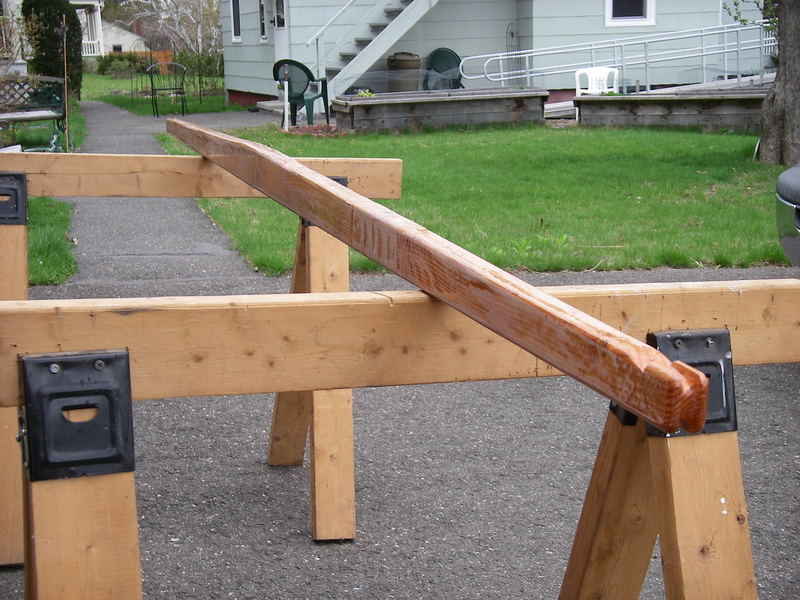 The main issue is mast position, so the boat will still balance, and there are a couple of different junk rig variations that are best suited for a mast that is more forward or farther back. But if you are building the boat anyway, not so hard to make adjustments! Fascinating stuff is going on, in the world of junk rig. Also, if by chance you do Facebook, we now have a Facebook group for junk rig that might be another handy resource. The name of the group is International Junk Rig: Sailing Old and New, which turns up in a Facebook search. All best wishes, and happy projects! Thank you Shemaya! Happy sailing!